This was a personal project born out of self-initiated investigations into 3D scanning with a 3-axis Roland contact scanner. 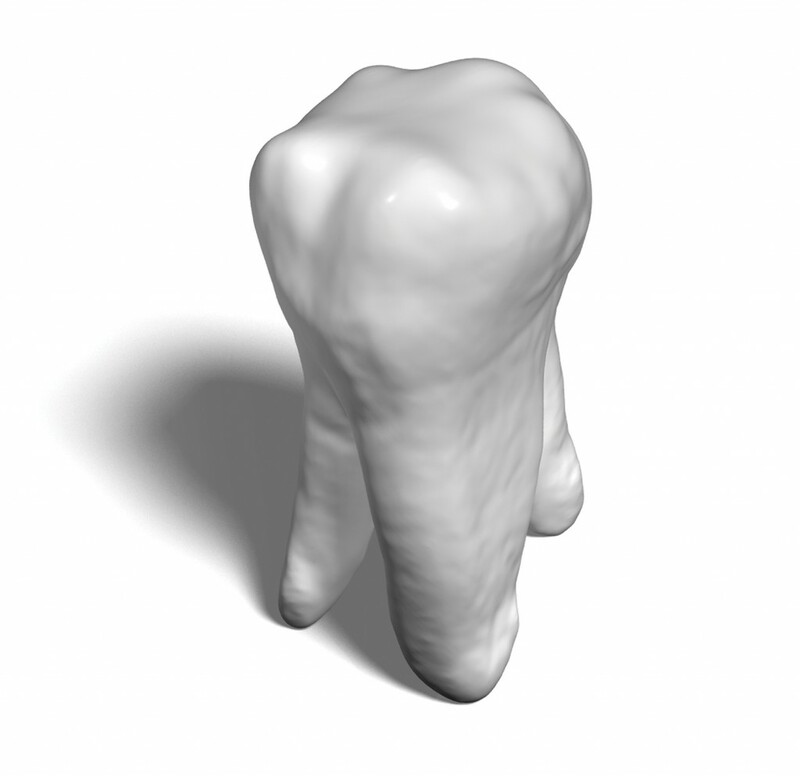 Fascinated by the form and underlying narrative of extracted teeth I decided that to scan them would provide a most interesting and challenging study. 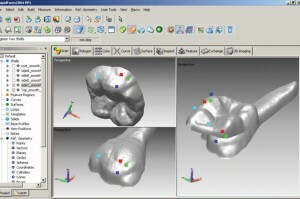 The complex shape of the teeth and the limiting 3-axis motion of the scanning head meant that each major elevation of the tooth had to be captured individualy to achieve a complete set of object data. I collaborated with Dr Chee Kau at Cardiff University Hospital to ‘stitch’ the point cloud data into a singular ‘whole’ object using ‘RapidForm’ software. Whilst ‘playing’ with the digital tooth model and wondering at the possibilities of up-scaling it as a physical object, I hit on the idea of turning it into a piece of furniture. To me, the most appropriate was that of a stool. 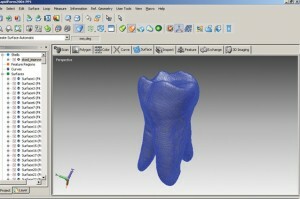 ‘Freeform’ (virtual clay modelling) software was used to scale and modify the tooth data to form a functional stool. Whilst researching options for CNC and Rapid Manufacture of the tooth stool, I stumbled on a similar design by Phillipe Starck (designed 2001). I did not feel that production of a costly physical prototype of my chair would hold significant merit considering the similar design by Starck. As a recent graduate, I was encouraged to have hit upon a creative idea so similar to that of one of the internationally-acclaimed design masters. I also feel that the process by which my design came to be, tells a much more interesting tale combined use of contemporary technologies being used for experimentation and discovery in design. 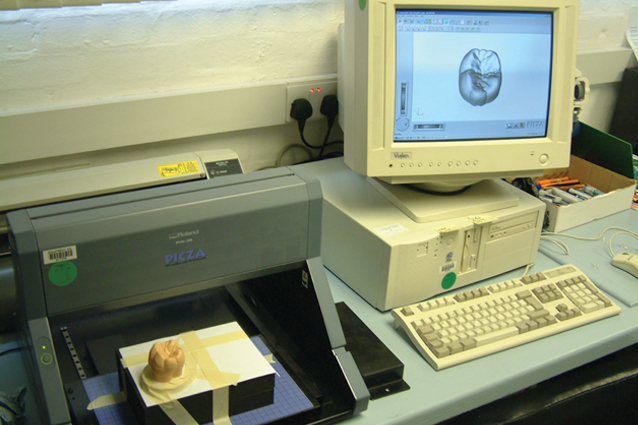 Roland 'Picza' 3D Contact Scanner (left) with scan data displayed on the monitor.